Caraway sentenced to 56 months in prison, or 4.6 years. Caraway must also pay more than $500,000 in restitution. Caraway has 30 days to report to federal prison. 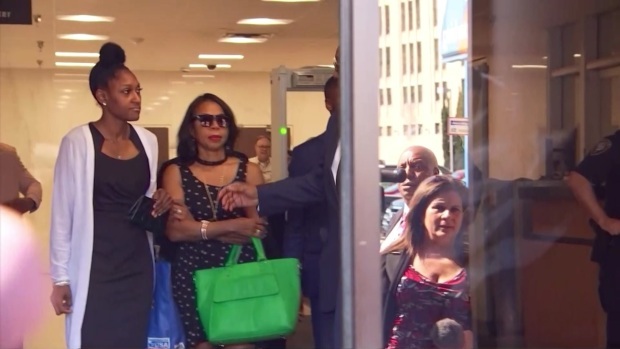 The fall from power for Dwaine Caraway is complete after the former Dallas City Councilman and mayor pro tem was sentenced to 4.6 years behind bars Friday for his role in the $100 million criminal conspiracy that shut down school bus provider Dallas County Schools. In front of the Earle Cabell Federal Building, Caraway stepped out of a vehicle at about 1 p.m. and made his way through a throng of reporters, saying nothing as he walked past the media and toward the courthouse's security checkpoint. As he waited for others with him to get through security, he turned around, stared at reporters and the cameras, remaining silent as questions were shouted to him. At one point he leaned over to one of his companions and said, "This is strange." At 1:23 p.m., Caraway entered the courtroom and took his seat in the defendant's counsel table. Once settled, Caraway turned to reporters seated behind him, which included NBC 5 Investigates team of senior investigative reporter Scott Friedman, producer Jack Douglas Jr. and said, "Look at you on the front row." Dwaine Caraway arrives for sentencing in DCS scandal. Dwaine Caraway leaves the hearing after his sentencing in DCS scandal. The hearing got underway Friday afternoon, about an hour after its scheduled start time. Caraway's defense attorney called three witnesses to speak on his client's behalf before the defendant himself took the stand. The three witnesses included a former City Hall intern who said Caraway was like a father figure who taught him right from wrong, a longtime friend who said he gave her money to save their family's home and a childhood friend who was now Caraway's pastor who added that his friend made a mistake and has sinec apologized. Caraway was the last up, speaking in his own defense he told the court, "I stand before you today embarrassed and ashamed ... I let the poison in under the door and [it] got into my nose," Caraway said. "I look at all of you. I apologize to each and every one of you. I have let a lot of people down," Caraway said. Caraway's attorney said he's sure his client wishes he could turn back the clock and tell then Dallas County Schools board president Larry Duncan and school bus camera provider Bob Leonard to get out of his office instead of shaking their hands. Before handing Caraway his 56-month sentence, Judge Lynn told him, "This wasn't just money falling into your hands because they liked you, they were expecting something for it. Something that goes on for six years is hard to call a mistake. At some point it becomes a habit." Caraway was also ordered to pay more than $500,000 in restitution, an amount Lynn said would be difficult to repay. The plea agreement signed by Caraway stipulated he'll get no more than seven years behind bars. His continuing cooperation in ongoing investigations that brought down other men of power and prestige helped shorten his sentence. Prosecutors noted Friday that Caraway's cooperation with the government's investigation has been "exemplary." Judge Lynn gave Caraway 30 days to report to federal prison. It's not yet clear when he will begin serving his sentence. Caraway was, indeed, one of the most powerful and recognizable politicians in Dallas – a contender today for mayor if he’d not gotten caught taking hundreds of thousands of dollars in bribes, some of it in checks he cashed in liquor stores. The beginning of the end for Caraway was last year when he was interviewed by NBC 5 Investigates. 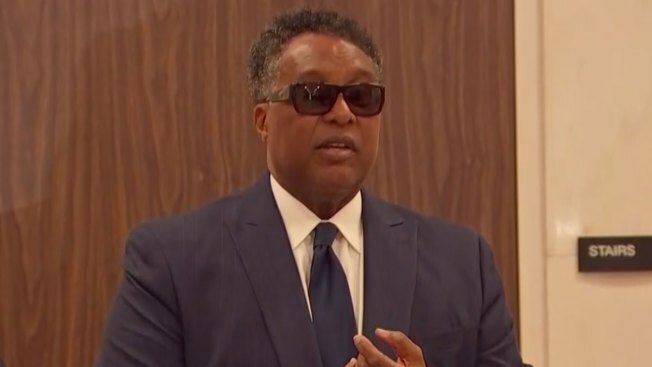 Dwaine Caraway, passing through security at the Earle Cabell Federal Building in Dallas, April 5, 2019. Caraway arrived at the building for sentencing in a federal corruption probe. He was sentenced to 56 months behind bars and ordered to pay $500,000 restitution. It was an unscheduled interview after we'd uncovered records showing he received "consulting payments" from a company tied to a man who later admitted paying bribes in a criminal conspiracy. That conspiracy ultimately caused the demise of Dallas County Schools, the once-respected century-old agency that provided buses for North Texas schoolchildren. "Now, this probably doesn't look too good," he said at the time. "I understand that." Caraway also tried to explain away records found by NBC 5 Investigates that showed the same company also provided loans to his father – loans that were never paid back. 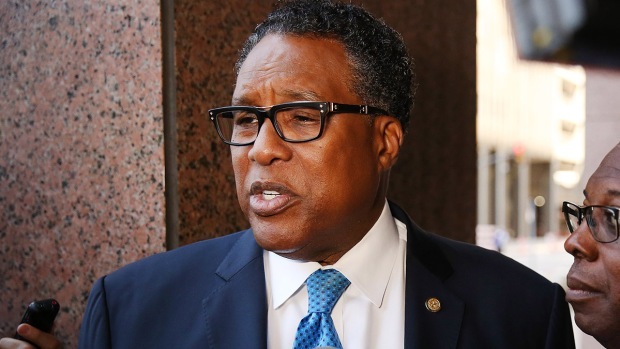 On Friday, former Dallas City Councilman Dwaine Caraway will be humbled before U.S. District Judge Barbara Lynn who will decide his prison sentence for his role in a criminal conspiracy. 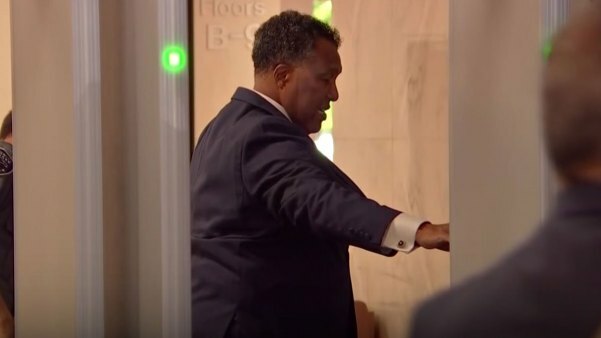 But he insisted, when questioned by NBC 5 Investigates, that the money did not influence his votes on the city council, in favor of an ordinance that benefited the people who had paid him. "Absolutely not. Absolutely not. It was keeping the kids safe, and a program that appeared not to have any problems," he said. But as the FBI closed in, Caraway admitted they were lies, and confessed to receiving about $450,000 in checks, trips to Las Vegas and New Orleans, custom suits and, according to U.S. Attorney Erin Nealy Cox, included "funeral expenses for family members, a campaign bus, casino chips and gambling funds for the horse track." According to prosecutors, Caraway boasted to the men who bribed him: "I am the city council" … and the right politician to do their bidding. 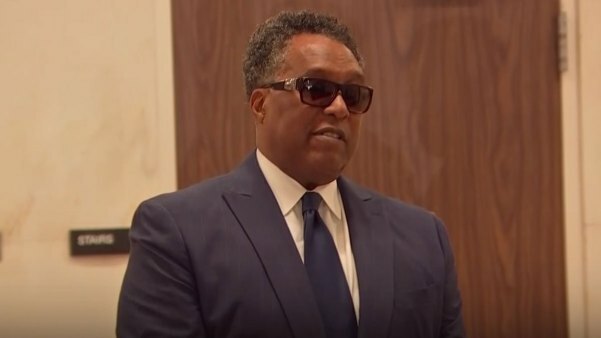 On Friday, former Dallas City Councilman Dwaine Caraway will be sentenced for his role in a criminal conspiracy that shut down school bus agency Dallas County Schools. He resigned from the city council in August, the same day the federal government announced his guilty plea. In his resignation letter, Caraway said: "I am truly sorry that I must end my career as an elected official because I betrayed the public’s trust that I worked so hard to earn." Friday’s sentencing may not be the final fate for Caraway. On Thursday, prosecutors and Caraway’s defense filed a motion, asking Judge Lynn to delay his sentencing until after his testimony as a key witness in another city corruption case. Prosecutors told Lynn it was "…in Caraway's best interests to have the court fully consider his cooperation before it determines his sentence." The judge denied the motion, but said she would reconsider reducing Caraway’s prison term if, after his testimony, the government asks for leniency.